How to assemble the SBR16 south beach rocker. Parts. Hardware: (4) 2" screws (4) 2" screws (12) nylock nuts (10) 1 7/8" bolts (2) 2 1/4/" bolts (12) washers. Tools: 4mm T-handle hex key (included) 7/16" wrench (not included). This assembly video can be used to assemble the SB16 and the ECR16. 1. Begin by assembling the right side frame. Attach the front right leg and the back leg to the rocker bottom using (2) 1 7/8" bolts with 2 nuts and 2 washers. Tighten with the drill and a 7/16" wrench as shown. Tip: for quicker assembly, a drill & 4mm hex bit can be used in place of the provided hex key. 2. Connect the right arm to the front right leg using (1) 2 1./4" bolt with one nut and one washer. Repeat this step to assemble the left side frame. 3. Attach the right side frame to the seat using (3) 1 7/8" inch bolts with 3 nuts and 3 washers. Connect the back brace to the rocker using 1 3": screw. Connect the front brace to the front right brace as shown and insert (1) 2" screw. Repeat this step to attach the left side frame and braces. 4.Finally, fasten the back piece to the seat and side frames using (2) 2" screws and (2) 3" screws. 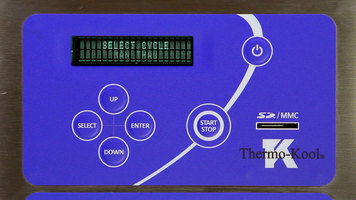 Check out this informative video to learn how to set the manual thaw feature on your Thermo-Kool blast chiller! 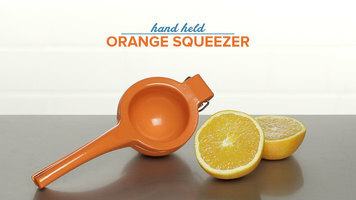 Making fresh orange juice has never been easier than with this hand held orange squeezer! 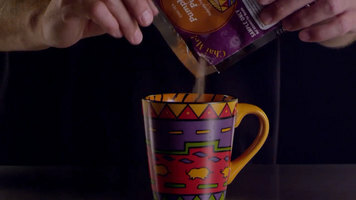 Simply put in the cut orange and squeeze, and you’ve got a pulp-free, delicious drink!